Alan Kind’s appeal to the High Court, to clarify whether or not a council can lawfully authorise a cattle-grid across the full width of a footpath or bridleway has been successful. This decision will provide additional protection for our public paths and better safety for the people using them. Bridleway with unofficial side-gate Photo: Alan Kind Capheaton bridleway 11, about 18 miles north-west of Newcastle upon Tyne, was recorded as a public footpath until 2009 when the designation was amended to bridleway, following the discovery of ‘historical evidence’ about the route, which is said to be an old packhorse road of some importance. At some time, a cattle-grid had been placed across the whole width of the track. Walkers, and later riders and cyclists, were forced off the highway and into an adjoining field to avoid the obstruction. Alan Kind, editor of Byway and Bridleway, the journal of the Byways and Bridleways Trust, and a local user of the route, served a statutory notice on Northumberland County Council to remove the obstruction. The matter went first to Newcastle Justices, who found against Mr Kind, and then on appeal to Newcastle Crown Court, who dismissed the appeal. During this time Northumberland County Council authorised the cattle-grid on condition that the bypass remained available to the public. With the backing of the British Horse Society, the Byways and Bridleways Trust, the Open Spaces Society and individuals, Alan Kind, represented by Adrian Pay of New Square Chambers, appealed to the High Court. 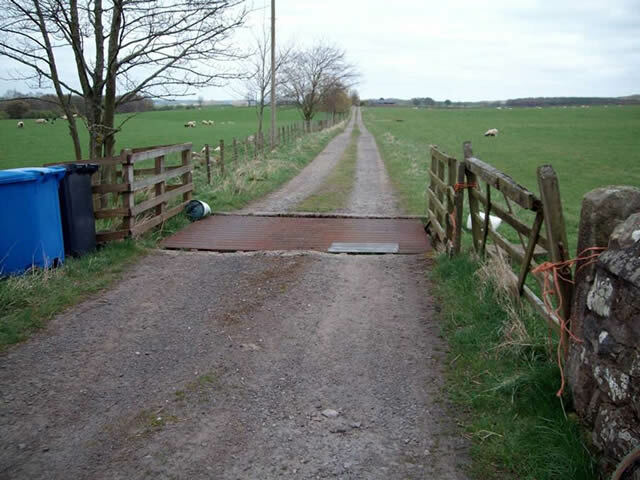 On 14 March Lord Justice Moore-Bick and Mr Justice King held for Mr Kind, confirming that a cattle grid cannot be authorised to block the whole width of a footpath or bridleway. Northumberland County Council must now restore a legal route for the public. This ruling follows the previous leading case concerning obstructions to public paths, Herrick v Kidner,where it was held that gateposts were obstructing a public footpath in south Somerset. ‘This decision, plus Peter Kidner’s case in 2010, goes a long way towards establishing firm and clear guidance on obstructions to rights of way and the duty on highway authorities to take simple, firm and prompt action to put things right. Alan Kind v Northumberland County Council  EWHC 603. "How can the ordinary man maintain his rights in law if he is not supported by it and it is not enforced?" That is even more the case today than it was then, as justice has become too expensive for the ordinary man to pursue and even if he can there is no guarantee that the law will support, especially when the interests of big business or landowners are at stake. This judgement readjusts the balance and will give local authorities pause for thought that they should stop thinking of ways to compromise the law but instead look after their employers, the public rate payer, by embracing it. THE MAXIM BEING ONCE A HIGHWAY ALWAYS A HIGHWAY IS QUOTED BY THE RAMBLERS. ACCESS POINTS ARE NOT RULED ON WIDTH WHERE PUBLIC OPEN ACCESS OR BRIDLE PATHS ARE THE ISSUE, I CAN'T SEE HOW ONE CAN LEGISLATE FOR HORSES CARRYING LOADS TO KEEP AND EVEN GATE, PLUS THERE IS THE ATTENDANT THAT WOULD ACCOMPANY THE HORSE. BYE-LAWS RELATING TO ACCESS ON LANES ETC, CAN BE MADE BY LOCAL AUTHORITIES, BUT THERE IS NO POWER TO IMPEDE LAWFUL ACCESS/ EGRESS. RIGHTS FOR AIR AND EXERCISE BY THE PUBLIC, SEEMS TO ME, TO HAVE BEEN GAINED THROUGH PRESCRIPTION (1832) AND THEREFORE IT HAS GAINED LEGAL STATUS. THE ACT REQUIRES TWO PERIODS OF 30 YEARS AND ONE OF 60, THE USE MUST HAVE BEEN WITHOUT INTERRUPTION, WITHOUT STEALTH AND WITHOUT SEEKING PERMISSION. I WOULD SUSPECT THAT THE REQUIREMENTS HAVE BEEN MET WITH, WHICH IS WHY HORSES AND PUBLIC STILL USE THE RIGHT OF WAY, I WOULD SUGGEST THAT THE OBJECTORS SEEK ACCESS TO THE INSURANCE COVER(IF ANY) AND EVIDENCE THAT THE COUNCIL OWN THE RIGHTS OF WAY, (THROUGH ADOPTION), AND HAS ANY PLANNING APPLICATION BEEN MADE TO THE MINISTER, OR TO THE LOCAL PLANNING AUTHORITY, IN EACH, DISCLOSURE WILL BE REQUIRED.